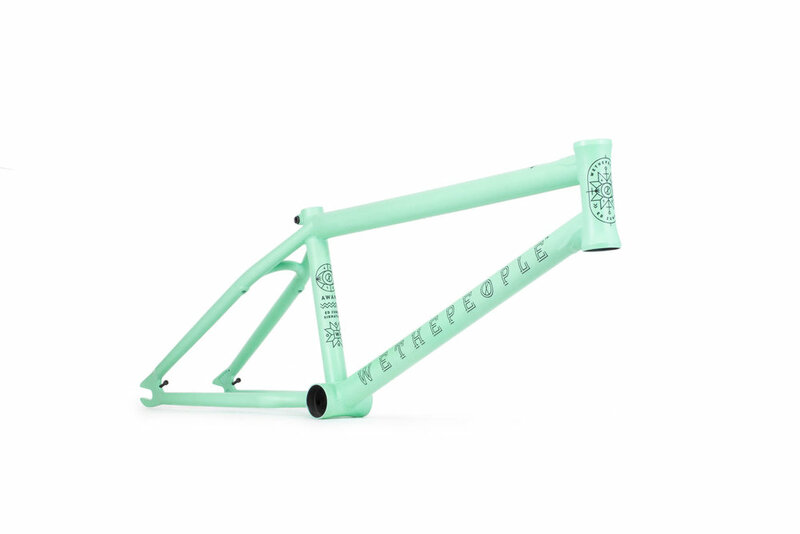 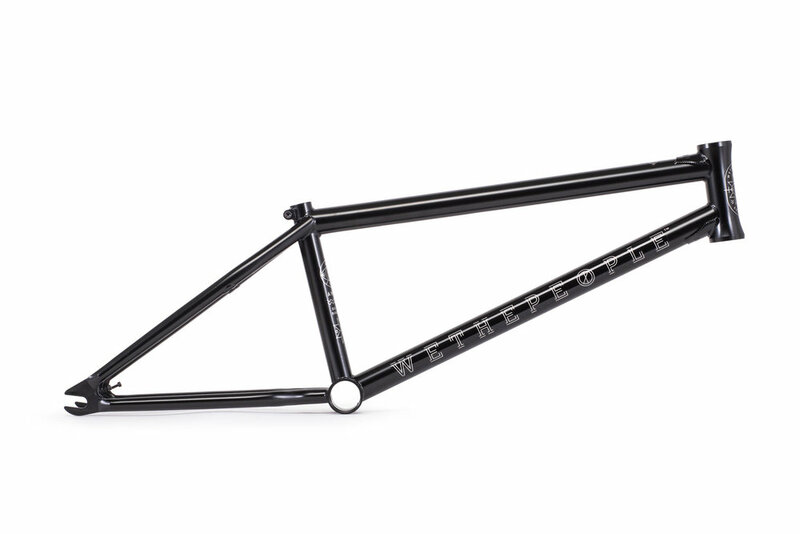 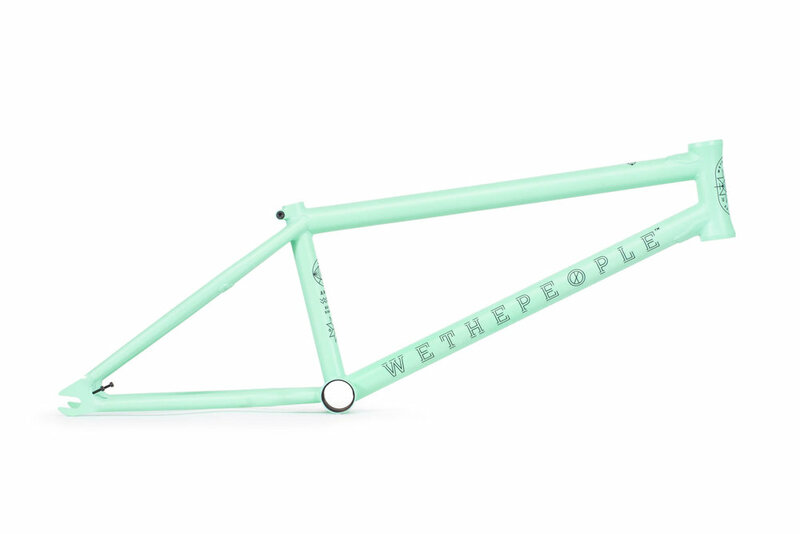 AWAKE FRAME — WETHEPEOPLE BIKE CO. 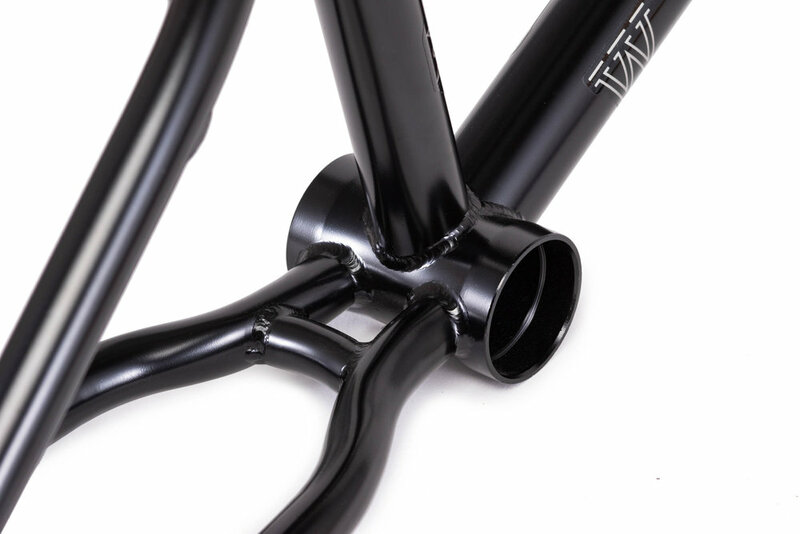 THE AWAKE FRAME NOW FEATURES A TALLER 9" STANDOVER HEIGHT AND A 127MM TALL HOURGLASS HEADTUBE, THE AWAKE FRAME NOW COMES WITH OUR 7.5MM THICK INVEST CAST DROPOUTS WITH INTEGRATED CHAIN TENSIONERS MAKING THIS SLEEK STREET UNIT MORE DIALED THAN EVER. 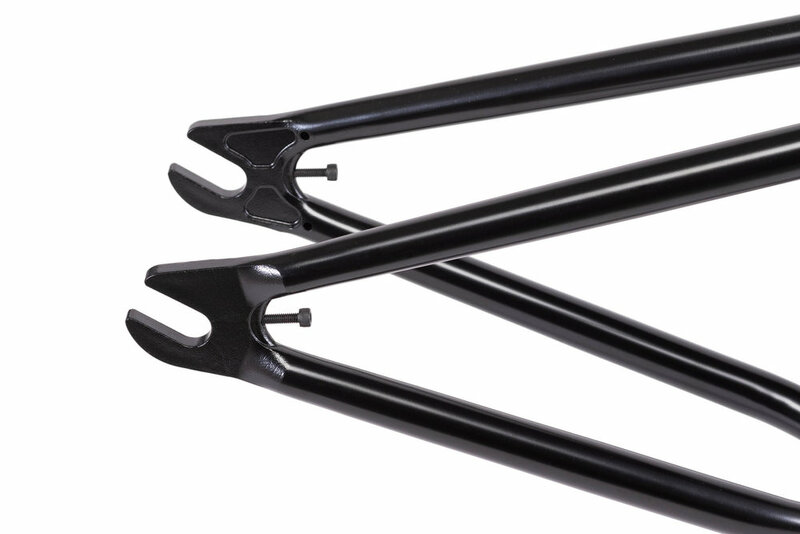 A: Top Tube : 20.7” or 21.1"
B: Chain Stay: 13" - 13.5"